Scott has over 25 years of experience. Scott Smith began his career in public accounting at KPMG, performing audit work for public and private companies, primarily focused on clients in manufacturing and financial services. He transitioned into industry where he took on a leadership role in financial management and operations. This combination of financial management and operations management has carried on throughout Scott’s career. Scott’s career has provided him a diverse skill set, as he continued to take on senior executive and c-level positions in accounting, finance, and operations. 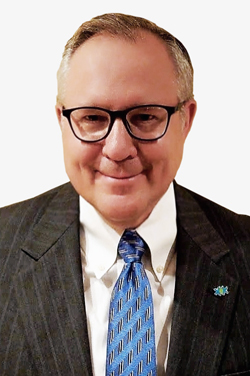 As a result, in addition to being an experienced CFO, Scott has also held positions as CEO and COO in companies across multiple industries, including Industrial Manufacturing, Apparel, Sporting Goods, Global Logistics, Petroleum, and Aerospace and Defense. Scott has managed and integrated over 25 M&A transactions, raised capital through debt and equity financing deals, designed and implemented alternative risk management solutions, and managed multiple ERP implementations. Over the course of Scott’s career he has held leadership roles with responsibility in enterprises ranging from Start-Up to $4 billion in revenue, with both domestic and international footprints. As a CSuite partner, Scott has assisted clients in Debt Recapitalization, Mergers and Acquisitions, ERP System Implementation, Strategic Planning, and Operations Management Consulting. Chief Financial Officer /CEO – Maxum Petroleum, Inc.
VP Finance – DSL Transportation, Inc.